Combat sports are far more intimate than the visual perception of two athletes striking one another and attempting to manipulate the other’s limbs inside a ring or cage. As most fight fans will understand, combat sports are infinitely deeper than what is seen by the eye on the surface level. Real emotions are invested into these individual fights and those emotions run through the fighters into their coaches and teammates and continue on to individuals such as family, friends, support groups, etc. While combat sports is obviously physically demanding, the mental and emotional state of combat sports may be the most intriguing aspect of it all being that fighting is actually quite simple in comparison to the complexity of a person’s mental and emotional state. One of the deepest connections a fighter can have is the connection with a coach. A fighter’s coach has a duty outside of simply coaching that often goes unnoticed. A coach is responsible for aiding the fighter in progressing in talent, preparing the fighter for competition and for ensuring that a fighter is learning on and off the gym floor. Success virtually rests within the hand of an exceptional coach. The relationship between Coach and Fighter can be extremely close. While the physical connection can be exemplified by mitts and gloves, the emotional investment is deep for both individuals. Typically, a coach will develop such a good rapport with a fighter that the coach is the person a fighter trusts most when they are amidst the heat of battle so to speak. In MMA, bouts are more often than not three rounds in duration and sometimes in main event or title fight situations five rounds in duration. During that period of time, should the fight see the second and third (fourth and fifth) rounds, a fighter has one minute to rest and receive guidance from his coach serving in that capacity as a cornerman. 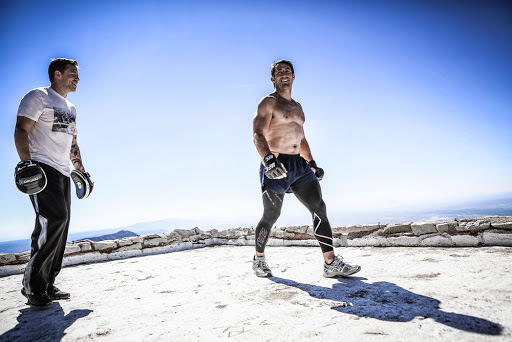 What goes on during that 60-second stretch is imperative to the success of a fighter. Starting with serving water for hydration and ice for possible hematomas, bruises, etc., the cornerman ensures the fighter is rehabilitated to the best of his ability with aide from a cutman (who handles lacerations, bleeding, etc.). Once the rehabilitation concludes, the coach has a limited amount of time to offer guidance and direction, coaching the fighter on what he saw during the first round of the fight. A good coach instills adaptations for the fighter to improve on, a great coach reminds the fighter of all the hard-work put in during training that involves the ability to adapt to every scenario. Brandon Gibson is a striking guru and one of the best coaches in New Mexico, quickly becoming a recognized success throughout the country. Part of the talented coaching staff at the Jackson-Winkeljohn gym that includes the iconic Greg Jackson and striking extraordinaire Mike Winkeljohn, Gibson has worked with fighters from every part of the spectrum ranging from UFC Champion Carlos Condit to up-and-coming top prospect Joby Sanchez. As mentioned previously, a connection has to be present between coach and fighter in order for the relationship inside and outside the cage/ring to be strong enough to lead both individuals towards success. A successful fighter sprinkles that success on the coach, and vice versa, a successful coach can sprinkle his success onto a fighter. The connection, that bond is solidified by one extremely strong characteristic. With trust being the prevalent trait mentioned by Coach Gibson, it is easy at that point to start detailing the essential functions a coach/cornerman are responsible to complete. In a combat sport, danger is always looming. From training to the actual fight, hand-to-hand combat can lead to injury and not being prepared only increases the likelihood that an injury can occur. Through that detail, it is very simple to understand why it is essential to have a coach that you can trust, and can trust you. 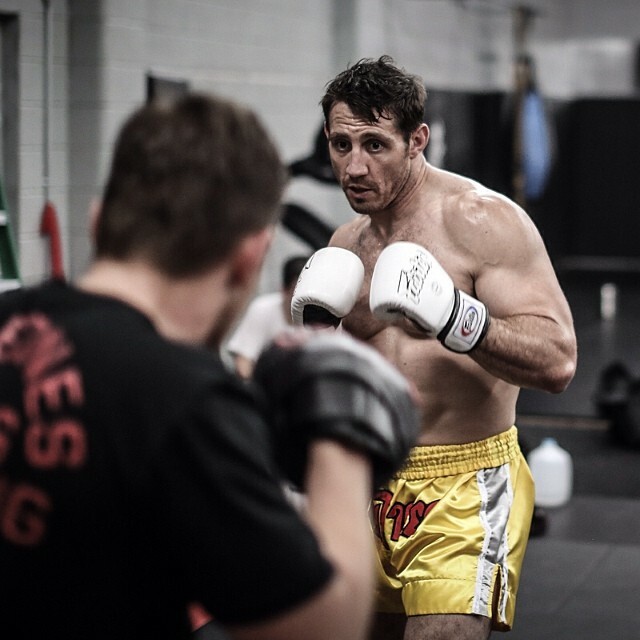 When SWFight was able to speak with Coach Gibson, we asked which fight stood out as his most memorable, he was quick to answer that it involved UFC Middleweight Contender Tim Kennedy. Gibson worked with Kennedy often, especially before his fight at the UFC Fight for the Troops 3 event in November of 2013. If you see a connection between fighter and his cornerman during a fight, that connection was built through countless hours spent in the gym together. Whether that time is spent training or conversing, a trust begins to build as the hours continue to pile up. As one could imagine, the coaching staff and supporting individuals of Kennedy were extremely concerned when it was revealed that Kennedy had suffered a serious injury. This was Tim Kennedy’s first UFC main event; it was his biggest break since fighting Luke Rockhold for the Strikeforce Middleweight Title. Kennedy had previously aligned himself with the Jackson-Winkeljohn gym and began to hone in to improve his already vast skillset. The veteran of over twenty professional fights also had impressive military experience on his resume, a Sergeant First Class in the United States Army part of the elite Special Forces. Kennedy was Light-Heavyweight Champion in the service-wide Combatives military tournaments three years in a row and a Black Belt in Matt Larsen’s Army Combative Program. Needless to say, Kennedy was a battle tested individual, both inside the cage and more importantly in the capacity of a soldier who fought for our country. Still the injury to Kennedy was a real concern and the fight versus Rafael Natal in Kentucky was an enormous opportunity for the 185-pound fighter. Plus, the stakes were high on a personal level considering where the fight took place. While the pressure on Kennedy has been amply stated, the pressure was definitely felt by Coach Gibson working as Kennedy’s corner and standing as one of Kennedy’s coaches. It was important considering the stakes of the bout that Kennedy entered the cage that night as prepared as possible. UFC Fight Night 3 was literally held inside a military hangar on a Wednesday night. The event was broadcasted on Fox Sports 1 and featured big time wins for Rustam Khabilov (teammate of Kennedy), Yoel Romero and Alexis Davis. The stage was set for Kennedy, who remains the fighter in the UFC with the most significant military exposure. While Tim Kennedy may appear to be larger than life to most, for Coach Brandon Gibson, the connection is of great sentiment as Kennedy’s success positively impacts the spirits of Gibson. The walk down to the cage could often feel like eternity; while it actual time it could be as minimal as 90-seconds from the time the music starts to the time the fighter walks into the cage, nerves start setting in whether good or bad, and time seems to slow down. Kennedy’s opponent Rafael Natal was already awaiting him in the cage and he brought to the cage a three fight win streak. Natal was 5-2-1 in the UFC and was hot of a “Fight of the Night” performance just two months prior. This was a big fight. A big fight in an emotional setting. We circle back to the trust a fighter must have in his coaches and cornermen, fighting through pain from a severe injury, Kennedy executed the game plan. The time in training camp was not lost or forgotten, the hours of time dedicated to Kennedy was retained and absorbed. Through all the emotion radiating throughout the United States military base, the connection between coach and fighter glimmered bright. That specific journey had concluded, the battle had ended. The coach and fighter walked out of the venue that night successful and satisfied. It was a story of a man’s ability to overcome physical and emotional obstacles to triumph in competition. That story wouldn’t be the same if not for the strong connection to his coaches and in finale, those coaches working in the capacity of cornermen. That is the first installment of SWFight’s new mini-series “New Mexico MMA Corner Stories”.